Disney has been quickly replacing all the 60th Anniversary Pressed Coins it has made available during their celebration last year. Which is good for us collectors as it keeps us busy trying to keep up with all the changes and new coins. 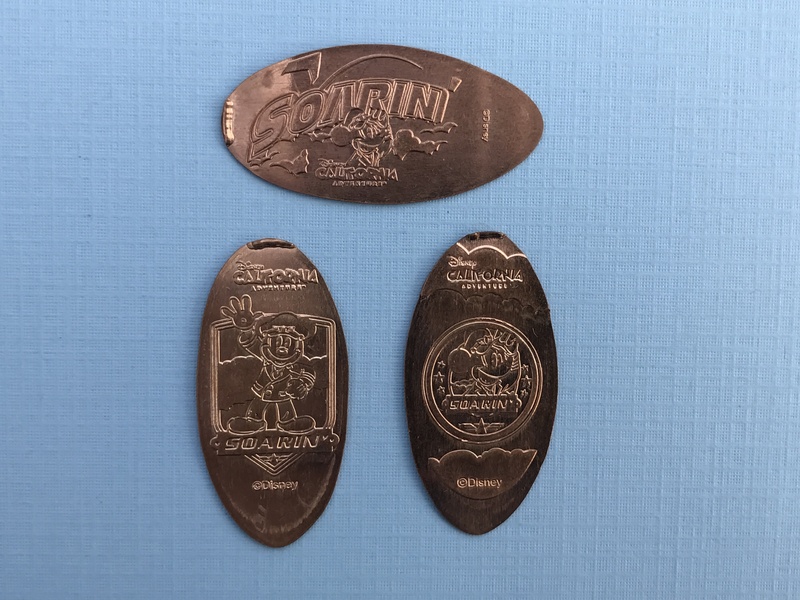 This week there was quite a few new coins placed on stage over at California Adventure. 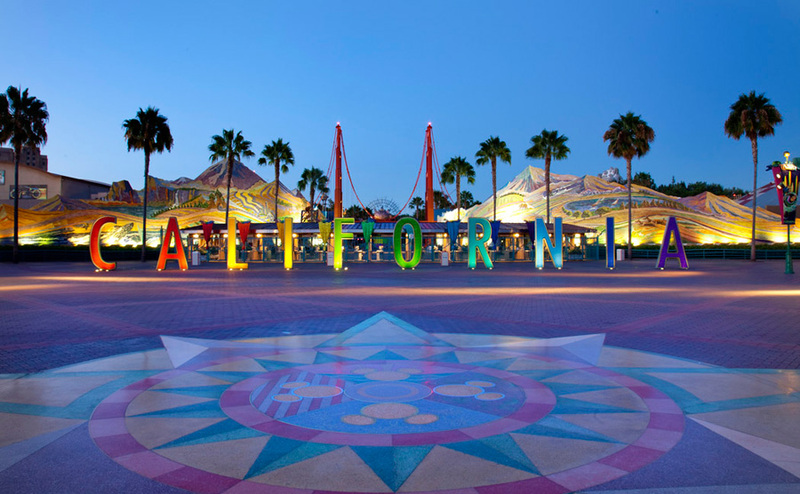 This is a park I have only visited a couple of times but really enjoy it, and the new Pixar Cars Land is truly amazing. But on this trip we were all about getting the new pennies. 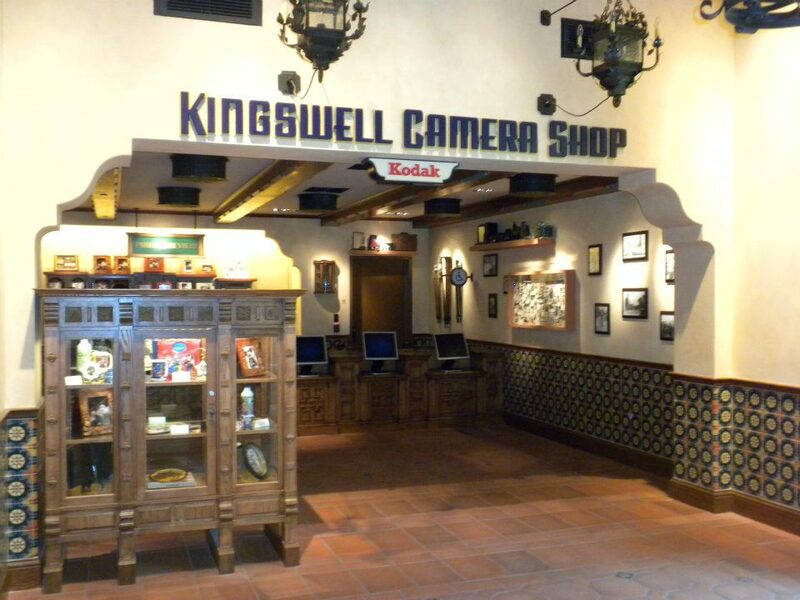 First up was a quick stop in the Kingswell Camera Shop. The machine located here has three new designs which to me were a very cool find. My wife actually took our daughter to see Finding Dory in the theaters but I stayed home with our youngest so I didn’t get to see the movie until just recently. 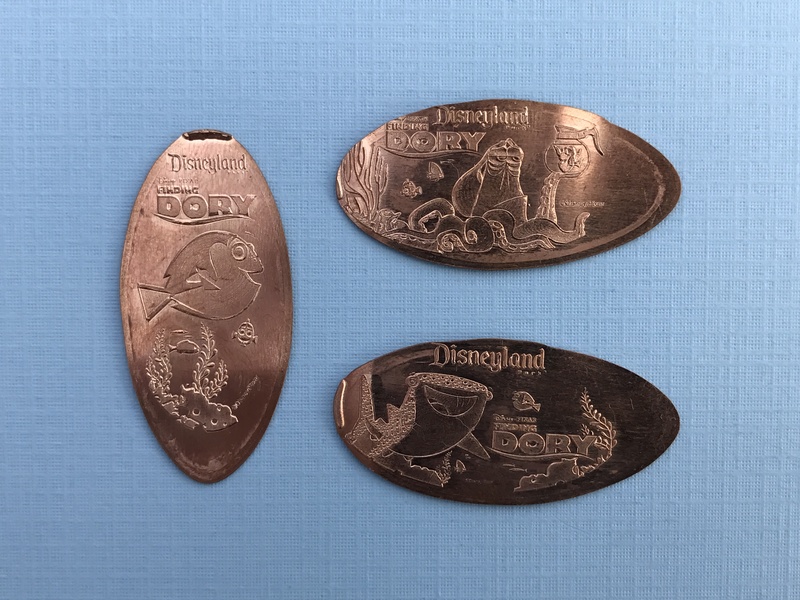 These coins are really nicely detailed and I love the movie characters they picked: Dory, Hank the Octopus (Septopus technically), and Destiny the Whale Shark. 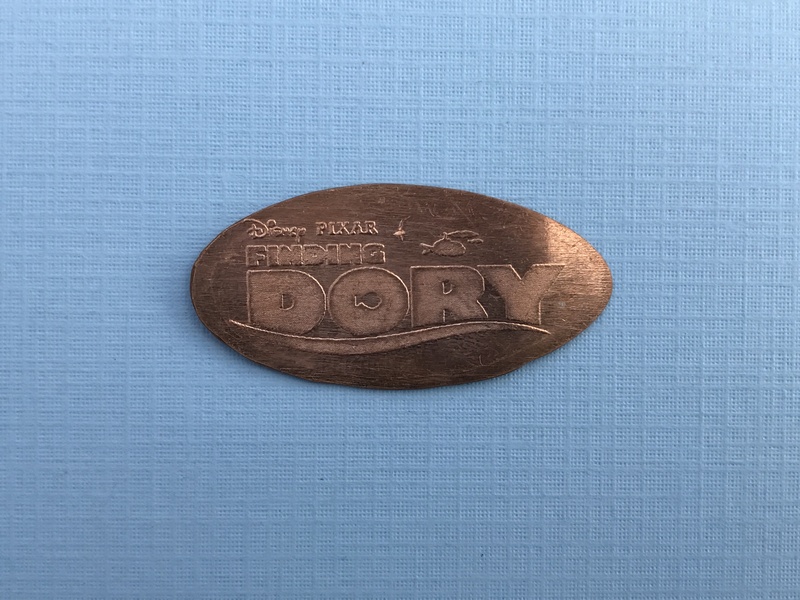 The back of each of these coins has the movie logo which is also a nice touch to these coins. 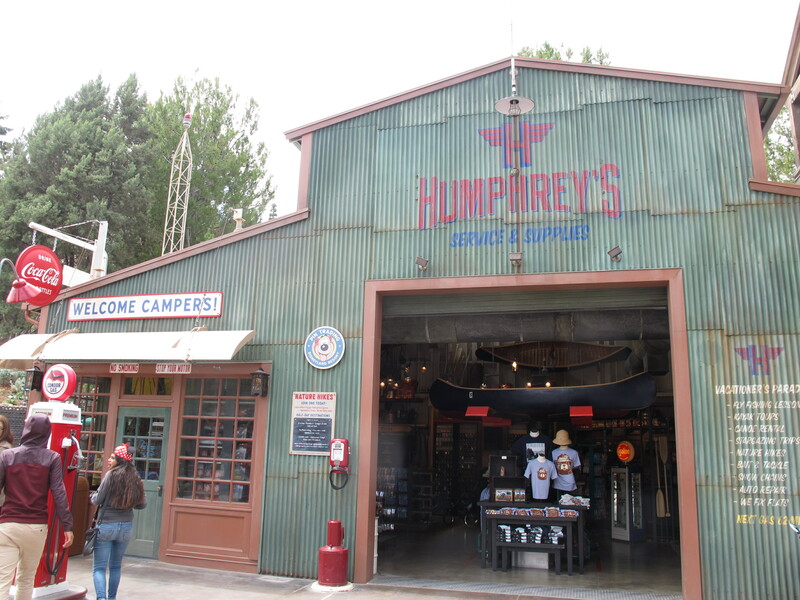 The next stop on our trip is over to Humphrey’s Service near the Soarin’ attraction which is another family favorite of ours. Being that this store is so close to Soarin’ it should come as no surprise that these are all themed around that ride. The designs show the Soarin’ Logo over Mickey, Pilot Mickey Waving, and Pilot Mickey in a Porthole. 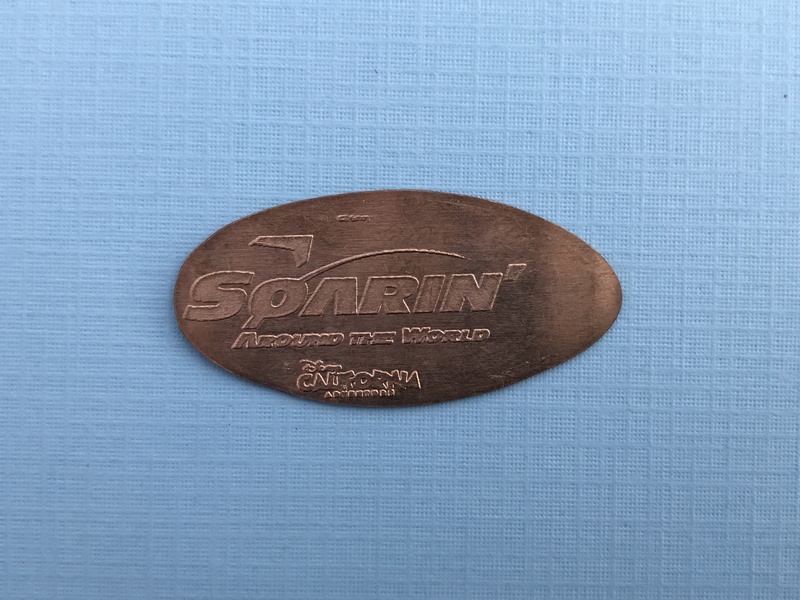 Another great back design has the Soarin’ logo on each of the pennies. 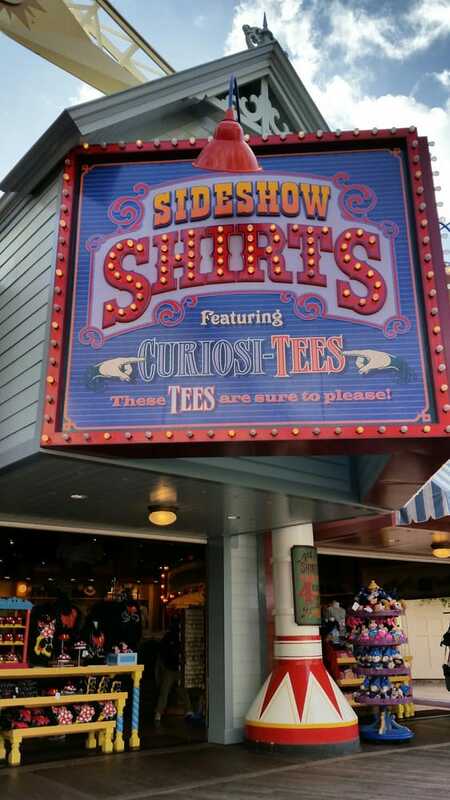 The final stop on this quick tour takes us over to the Pier and the Sideshow Shirts store. 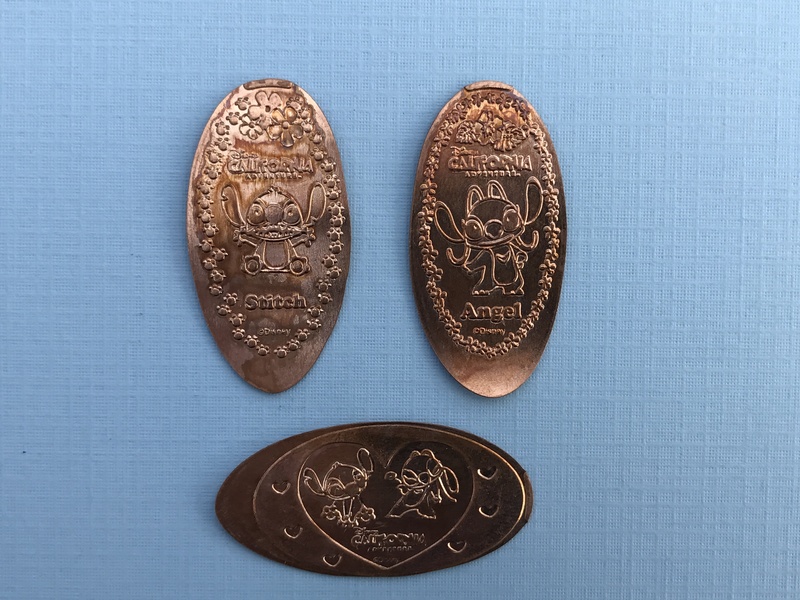 This last set (for now) of coins has images of Stitch, Angel, and Stitch / Angel inside a Heart. 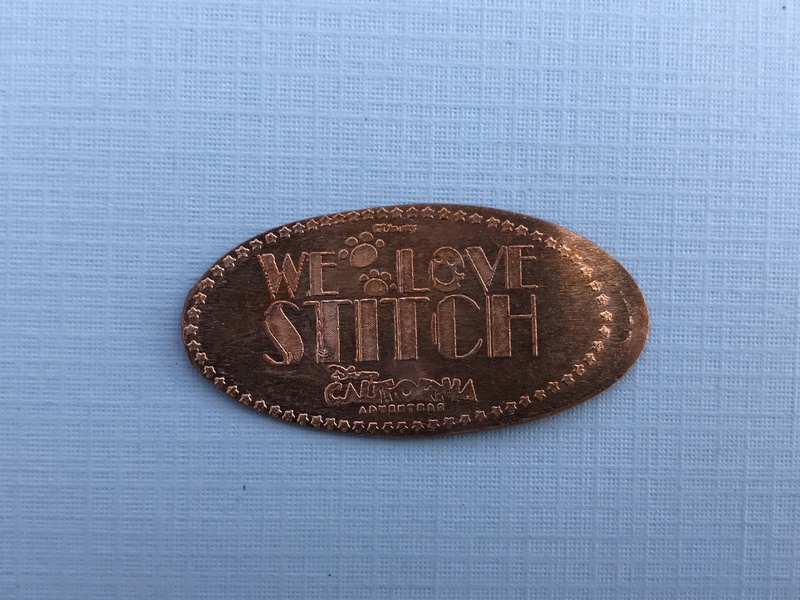 The back design on these pennies says “We Love Stitch” and has the California Adventure logo. Not a bad haul for a short trip to the park. I always wish I have more time to enjoy the parks but it was nice to be able to collect some new coins before having to head back to the resort. I’m crossing my fingers for more new coins, but they have certainly outdid themselves lately with all these new designs and I wouldn’t blame them for taking a short break. If that changes I’ll be sure to keep you posted.